Funeral services for Greg Albin Garton, 65, will be held at 10:30 A.M. Saturday, June 16, 2018 at the Wheatland High School Auditorium in Wheatland, Wyoming with The Reverend Jill Zimmerschied and Reverend Joel Dingman officiating. A coffee hour reception at All Saints Episcopal Church will immediately following the service. Greg Garton passed away the evening of Sunday, June 3, 2018 at his home surrounded by his family. Greg was born on Thursday, April 23, 1953 in Wheatland, the son of Robert L. and Thelma Irene (Plaga) Garton. He was married to Kathleen Diane “Kathy” Bookout on October 4, 1986 at the First Christian Church in Wheatland. He was raised on the family ranch in Sybille Canyon where he received his early education in a one room school house. He graduated from Wheatland High School and received his formal education from Casper College and The University of Wyoming. 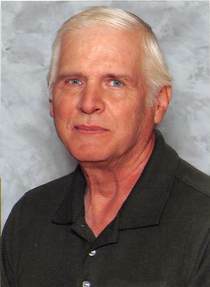 His life was dedicated to the youth of Platte County through a variety of career paths in ranching, law enforcement, social services, coaching wrestling, and teaching at Wheatland High School for 25 years. He was a 32nd Degree Mason in the Masonic Lodge and a Shriner in the Korein Temple. One of his greatest accomplishments was authoring and the publication of his book “Section 36, A Wyoming Journey From Then and Now”. He would like to be remembered for not only educating the youth of our community in the classroom, but also in life. He was survived by his wife Kathy Garton of Wheatland; sons, Travis (Kelli) Garton of Denver, Colorado and Tyrell (Fiancé, Breana Lucero) Garton of Wheatland; mother, Thelma Garton of Wheatland; brother, Steven (Margo) Garton of Nickerson, Kansas; nephew, Coy Garton of Tipton, Iowa; niece, Bobbie Hammond of Lake Jackson, Texas; and brothers-in-law, Bill, Mike, Pat, and Tim Bookout. Serving as honorary pallbearers will be Travis Garton, Tyrell Garton, Steven Garton, Coy Garton, Tim Bookout, Pat Bookout, Rob McManus, Tony Fuller, Clark Noble, Bill Corn, Larry Balzen, and Vic White. A memorial to the Greg Garton Scholarship Fund in care of Platte Valley Bank, 200 Sixteenth Street, Wheatland, Wyoming 82201 would be appreciated by the family to further a student’s post high school education.